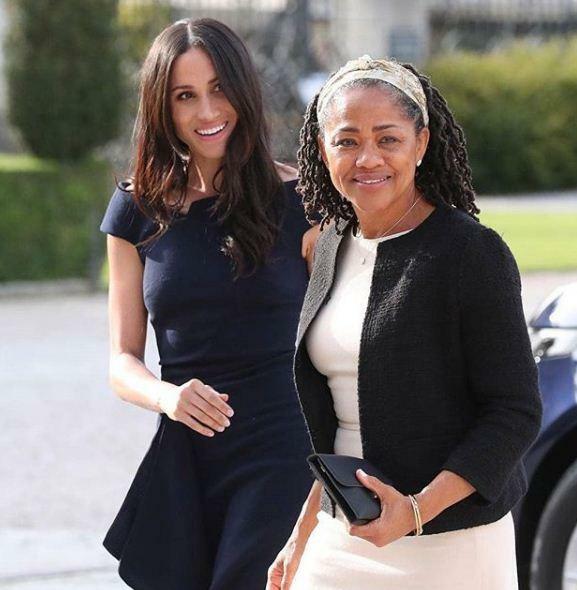 The royal wedding day has come, bride-to-be Meghan Markle wore Roland Mouret's Barwick Dress upon her arrival to Cliveden House. Her outfit looks elegant, polished, tailored and chic looks to date. As she excited the car, she debuted the navy dress, she wore it with grey suede Manolo Blahnik BB 105 Pumps heels. 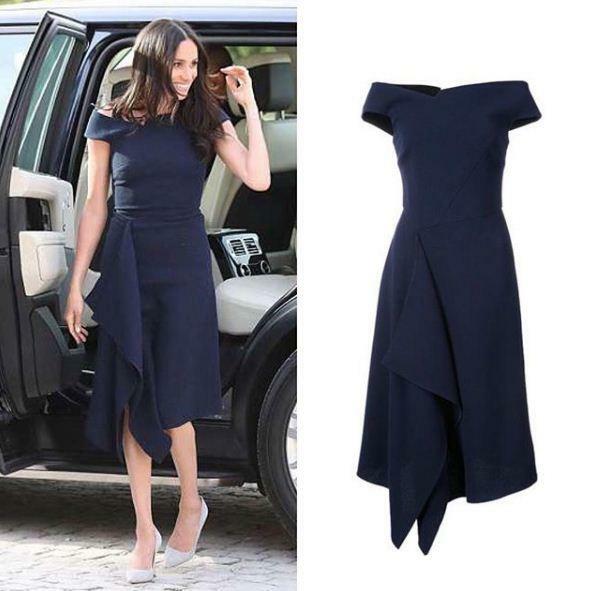 The navy crepe dress with a ruffled skirt is designed by one of her friends, Roland Mouret. Roland was on the list of contenders to craft a custom look for Meghan's wedding. Everyone was guessing that Roland would design Meghan's evening gown which she'll wear to her reception at Frogmore House tomorrow evening. The dress which Meghan wore was part of Resort 2018 collection, is a perfect example of modest-meets-cutting-edge style. Although, Meghan's counterparts tend to prefer silhouettes that are far more romantic, frilly and fussy. The classic pump light grey suede which Meghan wore is no longer available for sale. 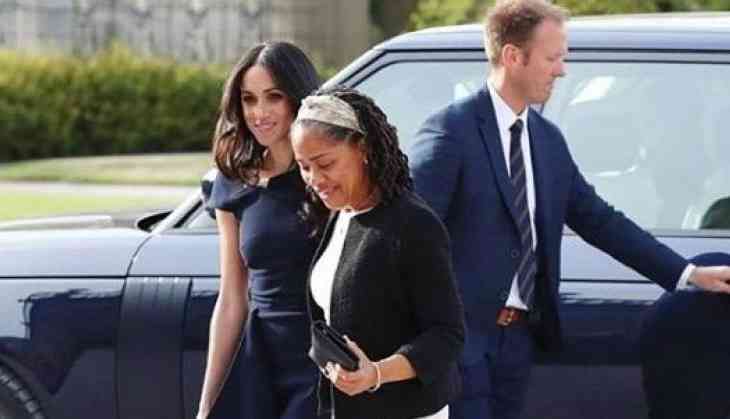 Her mother Doria arrived at her side, wearing an equally modest and chic ensemble. Markle told photographers she was feeling "wonderful, thank you," about her wedding to Harry tomorrow. She and Ragland will leave Cliveden House together around 11 a.m. London time tomorrow to drive to St. George's Chapel, where the ceremony will begin.